In a blog entry at Atlantic magazine, Ta-Nehisi Coates discusses a report that reveals that GOP presidential candidate Ron Paul actually signed off on the controversial racist newsletters. But in trying to distance itself from the debacle, Coates says, Paul's campaign risks appearing ridiculous by making claims that he "legislated" for Martin Luther King Jr. Day. The Republican presidential candidate has denied writing inflammatory passages in the pamphlets from the 1990s and said recently that he did not read them at the time or for years afterward. Numerous colleagues said he does not hold racist views. But people close to Paul's operations said he was deeply involved in the company that produced the newsletters, Ron Paul & Associates, and closely monitored its operations, signing off on articles and speaking to staff members virtually every day. 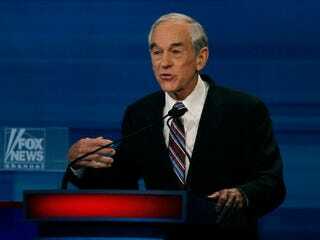 All parties agree that Ron Paul is not, personally, racist and that he didn't write the passages. This is comforting. I am not an anti-Semite. But give me a check to tell Harlem the Jews invented AIDS, and I'll do it. As I've said before, we all must make our calculus in supporting a candidate or even claiming he is "good" for the debate. But it must be an honest calculus. If you believe that a character who would conspire to profit off of white supremacy, anti-gay bigotry, and anti-Semitism is the best vehicle for convincing the country to end the drug war, to end our romance with interventionism, to encourage serious scrutiny of state violence, at every level, then you should be honest enough to defend that proposition. What you should not do is claim that Ron Paul "legislated" for Martin Luther King Day, or claim to have intricate knowledge of Ron Paul's heart, and thus by the harsh accumulation of evidence, be made to look ridiculous. Read Ta-Nehisi Coates' entire blog entry at the Atlantic.